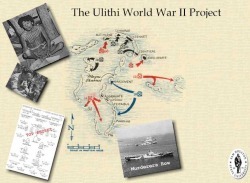 Created to help me connect with veterans who were stationed at Ulithi atoll or visited Mog Mog during the Second World War. I eventually wrote my master's thesis on this topic during my matriculation at Sam Houston State University in Huntsville, Texas. I am currently converting my thesis into a book.